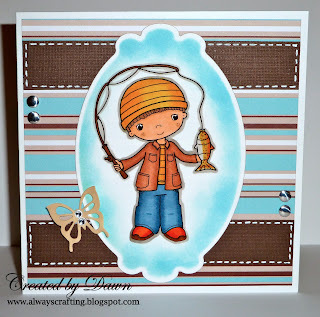 For the Pollycraft challenge this week the theme is BOYS and I used the cutest Pollycraft image for my boys card. I love this image because it reminds me of my son. He so loves to go fishing. Great boys card Dawn, love the papers. SO CUTE! The great paper and the image is so adorable. 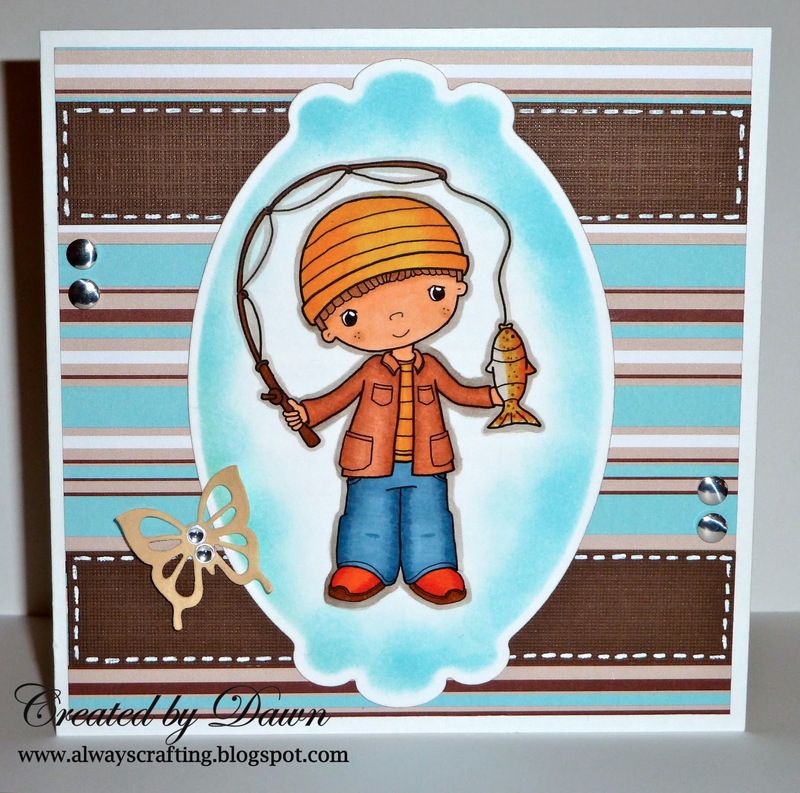 Oh this is one sweet image just love it..
Super cute boy card, Dawn!! Love the colors, patterns, and that little guy is adorable! !